Green tea is loaded with antioxidants and other components that help in keeping the doctor away. If you have not yet started taking this miracle drink, I have listed out 5 reasons for you to start. 2.Lose Weight: Green tea speeds up the body calorie burning process, studies suggest that it speeds up metabolism and helps in burning fat when taken regularly. 3.Prevent Tooth Decay: A cup of green tea a day promotes oral health by destroying bacteria that causes plaque formation and bad breath. This is the reason behind Japanese parents encouraging their children to drink a cup of green tea after every meal. 4.UV Protection: Green tea has polyphenols which protect skin from the adverse effect of UV radiation. It also protects skin by maintaining and improving its elastic tissue. Don't forget to pack green tea sachets along with your sunscreen for your summer vacation. 5.Diabetes at Bay: It has been used to control blood sugar level and slow the progression of the developed diabetes. People suffering from diabetes can switch their regular coffee or tea with green tea, this not only helps to cut down the sugar consumption but also aids in decreasing their sugar level low. How much and when? 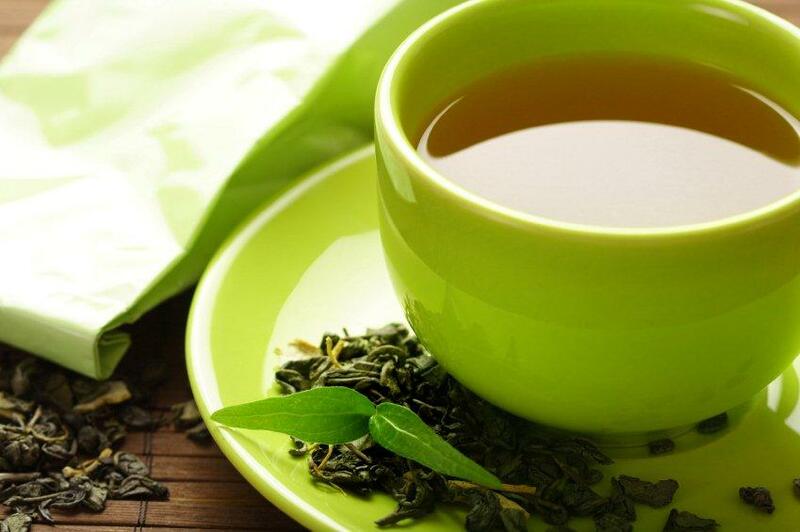 If you have been wondering which is the best time to have a cup of green tea, have it 20-30 minutes after your meal. Never have your green tea in empty stomach it leads to nausea and headache ( Belive me, I have done that and it is not a pleasant experience) If you are new to green tea start with 2 cups and slowly take it up to 5 cups per day. If you are sensitive to caffeine limit yourself to 1 cup per day. 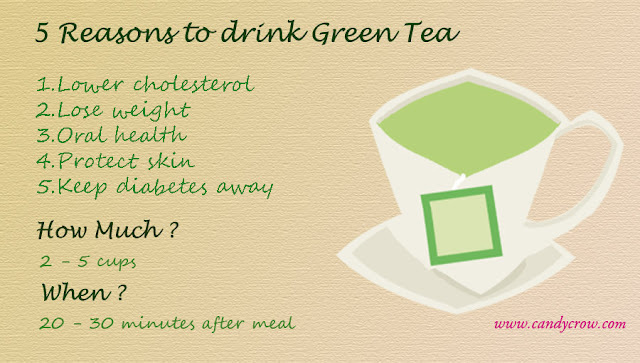 Green tea can also help in healing acne scars, click Here to know more.